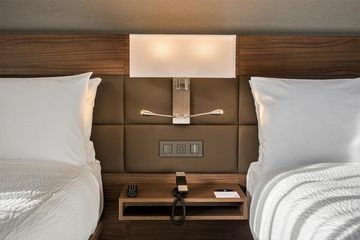 According to a new study, 3,900 new rooms will be added to South Africa's hotel sector due to a R1.9 billion investment into new hotels, and around R6.9 billion in total over the next three years. Marriott International has announced its plans for Mexico. The hospitality company expects to expand its footprint in Mexico by more than 50% to the end of 2023, following a robust year of new signings. Franchised by Choice Hotels International, Inc., the Cambria Hotels brand continues its South Carolina expansion with the opening of Charleston's newest hotel, the Cambria Hotel Charleston Riverview. Emaar Hospitality Group will open four new hotels in Dubai under its premium luxury Address Hotels + Resorts and upscale lifestyle Vida Hotels and Resorts, this year. Further, Rove Hotels, the joint venture of Emaar Properties and Meraas, will open a new hotel, adding to the contemporary midscale hotel choices in the city. The international RIU chain, which was founded in Mallorca by the Riu family in 1953, has announced the opening of the new Riu Playa Park on the island of Mallorca. The big chains, Marriott and Accor, are leading the way in African hotel development which overall has more than 75,000 rooms in 401 hotels in the pipeline, according to the 11th annual survey by W Hospitality Group, acknowledged as the industry’s most authoritative source. Uptown Suites has opened its seventh extended stay property and the second one in Austin, Texas. Located close to downtown, the new pet-friendly hotel has 129 rooms. Hyatt Hotels Corporation announced the official opening of Hyatt Place Dubai/Wasl District, marking the third property under Hyatt’s select service brand portfolio in the United Arab Emirates. TIME Hotels, the UAE-headquartered hospitality company and hotel operator, plans to open five new properties across the Middle East during 2019 – as it targets 35 properties by 2025. Hyatt Hotels Corporation announced the opening of Hyatt Regency Beijing Shiyuan, located in the vibrant Yanqing District of China’s capital city.